You are here: Renico Construction Latest News Property Market Factors that influence a property's price. 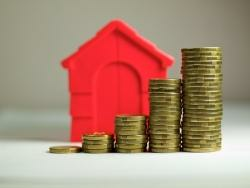 Factors that influence a property's price. Correctly pricing a home is not a mathematical equation - a number of factors play a role in determining what a fair price is. Here are some of the factors that need to be taken into consideration. Correctly pricing a home is not a science or a mathematical equation - a number of factors play a role in determining what a fair price is. Location is basically everything in real estate. Selling a property in a sought-after area is automatically going to boost the price. This of course, doesn't mean that a run-down home is going to sell for millions more, it simply means you’ll get more for the property than if it was situated in a less popular area. Likewise, even if a beautiful home is situated in a top suburb, the fact that it is situated on a busy road may affect its value. Well-maintained older homes are beautiful and are popular with those looking for features such as Oregon pine flooring and stained glass doors. However, older homes that have been left ‘as is’ aren't generally going to sell for a good price. Buyers look for comfort and convenience when they are buying. Paying a couple of million for a home knowing that you are going to have to renovate the kitchen or bathrooms (which were last renovated in the 70s) isn't going to appeal to most. That said, it's also important to remember that undertaking dramatic improvements won't necessarily mean that the seller is going to recoup the outlay when he sells. For this reason, it is far wiser to ensure that the home is periodically updated and that the fittings generally fit in with current trends and do not reflect something that was in vogue 20-odd years ago. Another aspect that plays a crucial role in pricing a property is perception. Is the property situated in an area that has, in the past, experienced high levels of crime? This is a delicate topic in South Africa because crime is so widespread. However, some areas do appear to be more affected than others and this is probably going to influence the eventual selling price. The size of the home. Again this may vary from area to area, but not everyone is looking to invest in a mansion. Size most certainly isn't everything and buyers aren't necessarily going to be blown away by an oversized home. Sure they want to live in comfort, but this doesn't mean that they will pay more for a five-bedroom home than they would if the property only had three. The one thing that does impact a buying decision is the number of bathrooms available. Most homes these days boast two bathrooms, however, many older homes don't and the occupants have to contend with queuing to use the loo. Probably the most important element in all of this is the wow factor. Homes that stand head and shoulders above the crowd are generally very well-maintained. They are beautiful decorated, have exquisite gardens and, well, if truth be told, put the neighbouring houses to shame. Just because the home has been designed in a similar mode to others around it, doesn't mean that the seller won't be able to sell for a higher price. We don't have any evidence to back this up, but are willing to bet that a home that shows that it’s been loved will sell quicker and for a higher price than one that isn't.